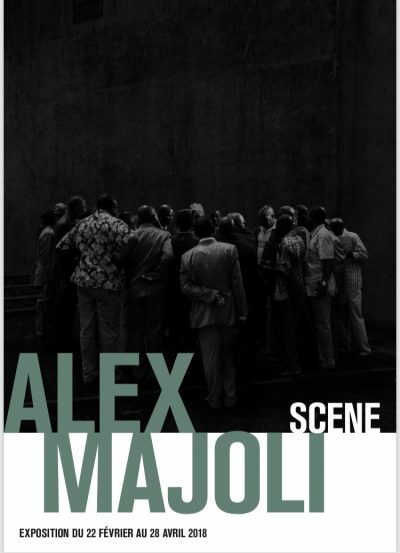 For eight years and across several continents, Alex Majoli has been photographing events and non-events. Political demonstrations, humanitarian emergencies, and quiet moments of everyday life. What holds all these images together is a sense of theatre. A sense that we are all actors, all playing, or failing to play the parts that history and circumstance demand of us. Majoli’s photographs result from his own performance. Entering a situation, he and his assistants slowly go about setting up a camera and lights. This activity is a kind of spectacle in itself, observed by those who will eventually be photographed. Majoli begins to shoot, offering no direction to the people before his camera. This might happen over twenty minutes. It might be an hour or so. Perhaps the people adjust their actions in anticipation of the image to come. Perhaps they refine their gestures in self-consciousness. Perhaps they do not. The representation of drama and the drama of representation become one. The camera flash is instantaneous and much stronger than daylight. But all this light plunges the world into night, or moonlight. The world appears as an illuminated stage. Everything seems to be happening at the end of the day. Just when the world should be sleeping, it offers a heightened performance of itself. We never really see people or places: we see the light they reflect. And the quality of that light affects how we understand them.